Join Best for Babies of Coconino County, Coconino CASA for Kids, and Social Work students in an educational panel and discussion with community service providers about the unique needs of infants and toddlers. Learn about the Best for Babies checklist and services provided in Coconino County. Healthy Social & Emotional Development is key to youth success in school, career and life. Arizona Center for Afterschool Excellence is proud to offer these 9 workshops which address a variety of youth development topics, presented by experts in the field! To celebrate International Day of the Girl, Sunny Peaks Girl Scouts and Coconino Coalition for Children and Youth invite you to a special presentation by Adam Brooks. 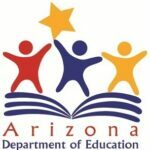 Adam holds Masters Degrees in both Special Education and Leadership Development, and has served as the Director of Special Education for a high school in Phoenix, Arizona. Adam has trained faculty and staff on bullying, leadership, conflict, and body image, and for the past 8 years, he has spoken to patients at Remuda Ranch, a nationally recognized Eating Disorder/Anxiety Health Clinic.